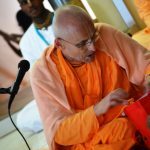 Kadamba Kanana Swami arrived in Johannesburg on the eve of Rama Naumi (27 March). That evening, he attended a nama hatta program in the suburb of Benoni. 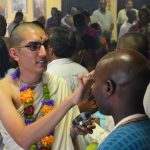 This preaching initiative is still in its developing stages however Maharaj’s presence attracted a crowd that exceeded the expectations of the hosts. 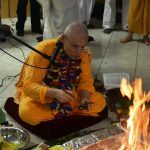 In his lecture, Maharaj quoted Srila Prabhupada and said that there is only one religion because there is only one absolute truth! 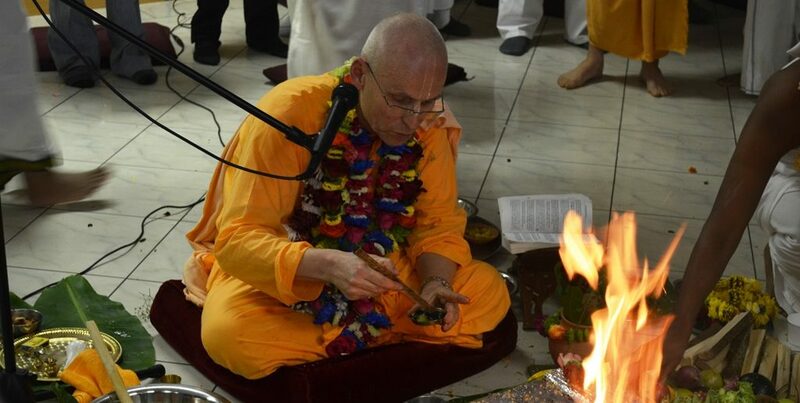 He spoke further on devotional service to Krsna and towards the end of the lecture, he focused on Lord Ramachandra. 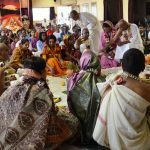 On Saturday, the Rama Naumi program began promptly at 2pm at the Lenasia Temple, south of Johannesburg. 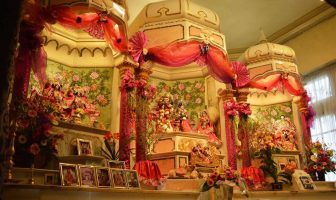 The presiding deities at this temple are Sri Sri Nitai Gaura Hari. A very spirited mood permeated the atmosphere as sixteen devotees took their seats for initiation. Many well-wishers, friends and family members attended the ceremony to give support to the candidates. 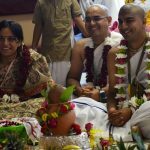 The following devotees were recipients of first initiation: Parjanya das, Arca-murti dd, Thirumala dd, Satyarani dd and Hrdaya Caitanya das. 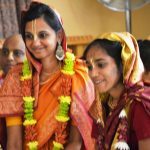 Second initiation was bestowed upon: Aditi dd, Srivasa Pundit das, Vrindavan Vilasini dd, Atma Tattva das, Girivaradhari das, Prema Mayi dd, Keshava Bharati das, Rasa Parayani dd, Acharya das, Jnana-samudra das and Caru-candi dd. 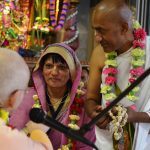 In his address during the ceremony, Maharaj spoke on the need for mercy and blessings in our lives, as well as the importance of cultivating a lifestyle that will support our vows. 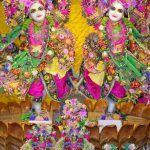 When I first went to India, Lord Ramachandra was the first deity I ever saw because the first temple I went to was of Lord Ramachandra and that was my temple! It was a small round temple and later on, they renovated and made it into a big marble temple. Oh, I miss my small round temple; it was so nice; the deities were really close but now they are high up and far away. Then when I mother was in her final days, I did not know what to do! What do you do!? She was dying of cancer. I was alone with her in the room and thought, “What do I do! I have to do something sacred. Let me sing that holy temple song – Sri Rama Jaya Rama, Jaya Jaya Rama!” And I sang it for her as she left this world. 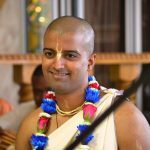 So I got the mercy of Lord Ramachandra although I was covered by ignorance, and somehow or other, I was able to bless my mother with his holy name! So I am grateful and indebted to Lord Ramachandra. How can I ever forget the name of Lord Ramachandra? 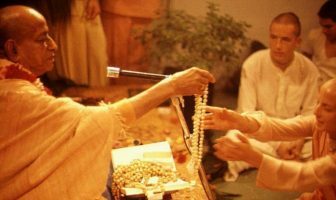 I was chanting the name of Lord Rama every day for four years before I started chanting Hare Krsna! Sri Rama Jaya Rama, Jaya Jaya Rama; Sri Rama Jaya Rama, Jaya Jaya Rama! On this day, my attraction to Lord Ramachandra has been reawakened. But the end of this Ramayana is too much, just too much (Lord Ramachandra banishing Sita devi)! No, I’ll be a Krsna bhakta! I will worship Lord Krsna. 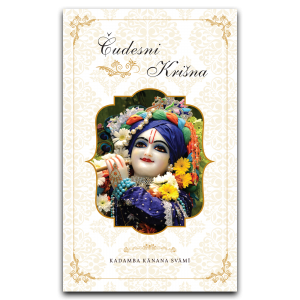 Yes, kecit kevalaya bhaktya vasudeva-parayanah (SB 6.1.15), Vasudeva Krsna, the original Supreme Personality of Godhead who says that my devotee will never perish, na me bhaktah pranasyati (BG 9.31). Ultimately, the full mercy of the Lord is manifested in Krsna. It goes beyond dharma; it goes to the platform of love. 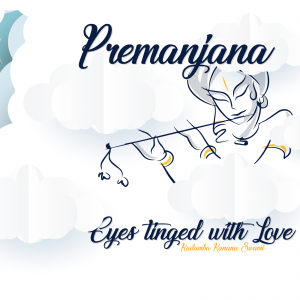 When love transcends dharma, that is what we see in Krsna. 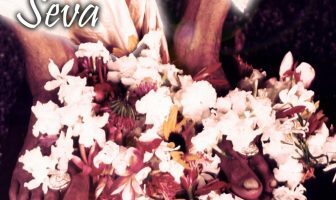 Therefore we are serving Krsna as our isthadev, our worshipable deity! Visit flickr to see all the pictures!